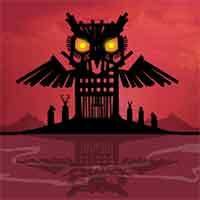 Rusty Lake Paradise Walkthrough – to help Jakob find her mother’s hidden memories and partake in strange family rituals in order to stop the 10 plagues. Tap on arrows, drag or swipe to navigate around the environtment. Some object you can drag. Interact with people and objects by clicking. Select found items in your inventory and tap somewhere on screen to use them. Jakob, the oldest son of the Eilander family, is returning to Paradise island after his mother passed away. Since her mysterious death, the island seems to be cursed by the ten plagues.